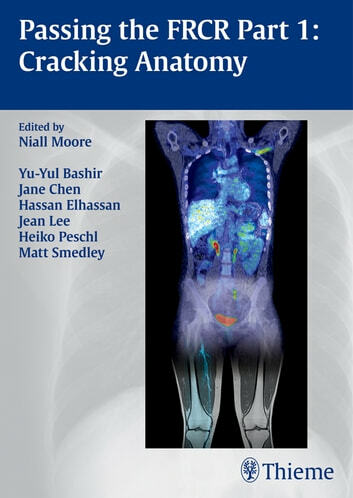 Written by radiology residents who have recently passed the newly formatted FRCR Part 1 Anatomy Exam, this study guide includes detailed coverage of all the anatomy topics on the exam. The images and accompanying questions and answers are specifically tailored to the new exam format and cover the following areas: Neuroradiology and Head and Neck Radiology; Chest and Cardiovascular Radiology; Gastrointestinal, Gynecological, and Urological Anatomy; Musculoskeletal Anatomy. Concise and easy-to-use, Passing the FRCR Part 1: Cracking Anatomy enables radiology residents to enter the FRCR Part 1 Anatomy Exam room confident in their knowledge and fully prepared to pass the exam.